White conservatives, led by FOX ‘news’, have tried to spin the Charleston shooting as an attack on Christians. It continues their effort to marginalize and trivialize African-Americans and their experiences. Of course the issue this time isn’t debatable. Don’t let white conservatives try and distract from the real reasons for the shooting. 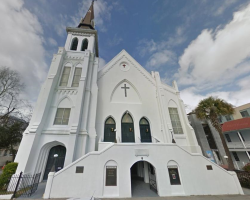 This entry was posted in Culture, History, Politics, Progressive, Religion and tagged Charleston, cheap labor conservative, civil rights, Fox News, mass killing, racism, South Carolina, terrorism on June 19, 2015 by Doug.